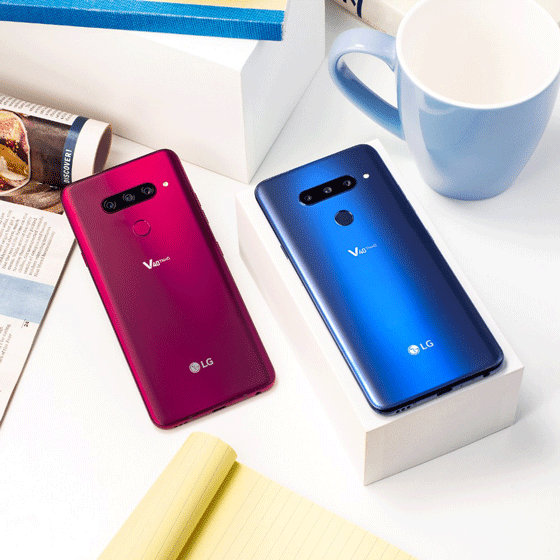 LG’s new flagship smartphone, the V40 ThinQ, appears to be a great device on paper. For $900, the phone is packed with powerful specs like a 6.4-inch OLED panel, Snapdragon 845 processor, 6GB of RAM and up to 128 GB of storage. It also has 32-bit Hi Fi Quad DAC and an interesting single speaker that gets louder when you place it on a surface thanks to the design of the phone. So, the LG 40 ThinQ has three cameras on the back. There’s a standard f/1.5 12-megapixel camera; there’s a super wide-angle f/1.9 16MP camera in the middle, and lastly, there’s a 12MP f/2.4 telephoto/portrait lens. The standard lens at the back has 1.4μm pixels which will result in better low-light photos. The wide-angle lens has a 107-degree field of view, so you can have more of everything on the frame. The telephoto/portrait lens, as we all know, lets you zoom in to a frame without losing detail. It is also worth pointing out that LG has also added some lighting effects for portraits such as natural, studio, contour, stage, etc. We haven’t had the chance to test these features, but let’s hope they are better than Apple‘s lighting effects which are still far from being perfect even on the new iPhone XS and the XS Max. Moving on to the front, there’s a standard 8MP selfie shooter with an 80-degree, f/1.9 lens, and a new wide-angle 5MP sensor and a 90-degree, f/2.2 lens, which is only ever so slightly wider than the main camera. But nonetheless, the wide-angle camera will help you get a couple of more people into the frame, which always a good thing. According to LG, the two cameras on the front can also enable portrait blur and portrait lighting effects for selfies. Overall, the five camera setup on the LG V40 ThinQ looks like a promising offering. We haven’t seen a smartphone with five cameras before, so we are glad to see LG breathing some fresh air into the dated smartphone market. There’s an array of camera features to go with the three lenses. You get Cine Shot, 3D Light Effect, Makeup Pro, Custom Backdrop, My Avatar, AR Emoji and some AI-driven features as well. Cine Shot is LG’s cinemagraph feature, while 3D Light Effect changes the tone of a photo with supposedly professional-looking lighting. You can touch up selfies with different looks using Makeup Pro or entirely change the background of a selfie with Custom Backdrop. Jumping on to the AR bandwagon, you get personalized emojis which LG calls My Avatar and AR Emojis. LG’s proprietary AI CAM comes with a new AI Composition feature that captures and recommends an alternative shot to you, to be used instead of the one you have clicked yourself. In essence, it takes an extra photo in the background in what it thinks is the best setting. There’s AI Auto White Balance (AI AWB) too, that supposedly automatically adjusts the color temperature across different lighting situations, and AI Shutter which picks the the right shutter speed for your subject, detecting movement or lack there-of. LG’s unique Triple Shot feature stitches together the images captured with each of the three lenses into a short video file for easy sharing. Now that should make for some amazing videos. 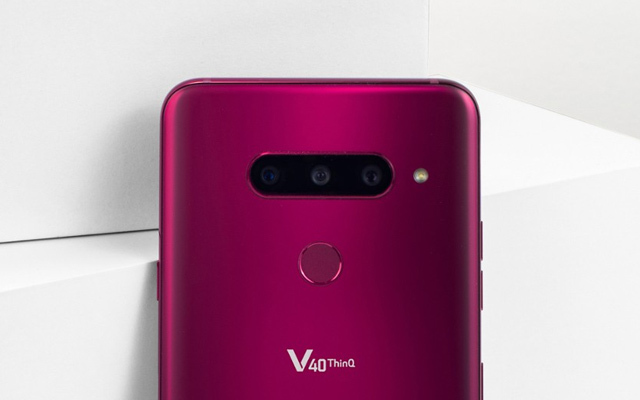 Anyway, what are your thoughts on the LG V40 ThinQ? Do you really think we really need five cameras on a smartphone? Let us know in the comments below.